Follow this 12 week plan to enhance your financial fitness. Our wealth lies right in front of our eyes. There is no question as to whether it is there or not. The only question is how can you learn to SEE it? Leverage strategies that generate wealth literally from thin air. 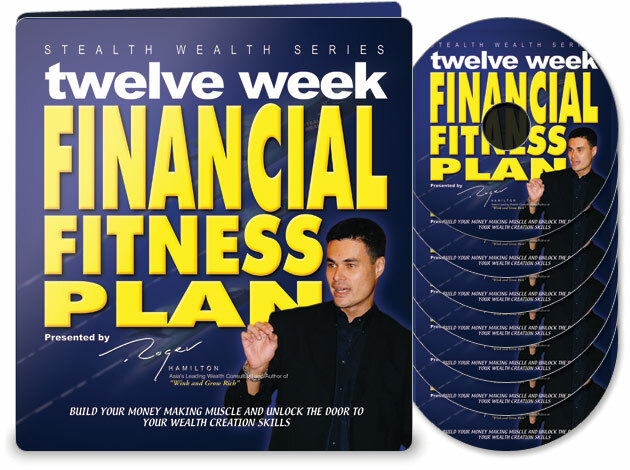 This 12 week plan will tune you in to your wealth. In 12 weeks you will listen to your 6 CDs many times over, and work your way through your workbook...you will exercise your money making muscle with a simple and effective daily routine. Develop your financial fitness and transform your vision, your focus, and your clarity, to see the wealth right before your eyes with 20/20 vision! Click the button below to add the 12 Week Financial Fitness Plan (DOWNLOAD) to your wish list.